Buy Do You Believe in Magic? The Lovin Spoonful had a meteoric career which climaxed shortly after it began in the mid 1960s. Do You Believe in Magic is the 1965 debut album by the group. It displays an incredible diversity of styles, ranging from folk to blues to country, bluegrass, and jug band. Led by composer and vocalist John Sebastian, this debut contains tracks which are equal parts original and innovative along with a healthy amount of reinterpreted standards traversing many American genres. Sebastian grew up as the son of a studio session harmonica player (of the same name) and he launched his own music career playing the folk circuit in Greenwich Village, New York City in the early 1960s. Along with guitarist Zal Yanovsky and two future members of The Mamas and The Papas, Sebastian formed a group called The Mugwumps in 1964. 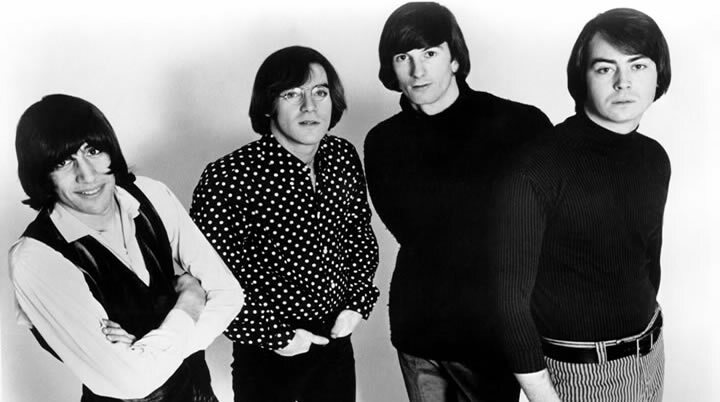 Later bassist Steve Boone and drummer Joe Butler joined Sebastian and Yanovsky to form The Lovin’ Spoonful. 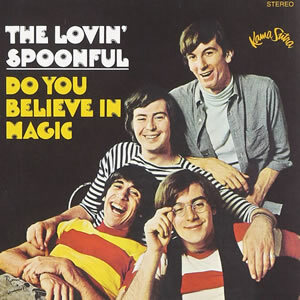 Starting in 1965, the group began recording for Elektra Records before Kama Sutra Records exercised a previous option to sign the Lovin’ Spoonful. Beyond the 12 tracks which appear on Do You Believe In Magic, the band recorded some of their biggest hit singles in 1965. Sebastian’s “Daydream” is a moderate pop/folk song which reached #2 in both the US and the UK. The rock-oriented chart topper “Summer In the City” was written by Sebastian and Boone and features a signature Hohner electric piano, further expanding the group’s palette. The album aptly begins with its title song, “Do You Believe In Magic”, an upbeat folk tune with nicely layered guitars and a backing vocal chorus provided by Yanovsky and Butler. Thematically, the “magic” is about the power of music and this certainly resonated in 1965 as this, oft-covered, debut single from the group reached the Top 10 in the US. As was the custom for debut albums of the time, the bulk of Do You Believe In Magic is cover songs, including the remainder of the original first side. “Blues in the Bottle” features bending, descending notes with Sebastian’s vocals being deep and rustic. “Sportin’ Life” is a slower blues number with some legitimate lead guitars for that genre, while “My Gal” is a fun, rocked up folk song about an alcoholic girlfriend who can “get drunk on shoe polish”. Co-written by Phil Spector, Barry Mann and, Cynthia Weil, “You Baby” is a somber, crooning folk song centering on the vocals, sort of in the realm of Roy Orbison with good mixture of guitar riffs. “Fishin’ Blues” closes out the side by adding a blue grass dimension to the group’s sound, with Sebastian’s vocals matching the country mood and Yanovsky’s consistent pick/slide guitar overtones bring the tune to a new level. A picked guitar intro gives way to a bright organ rhythm on Sebastian’s “Did You Ever Have to Make Up Your Mind?” with the singer adding vocals with a dynamic range. The second single released from the album, this song reached #2 on the American Billboard charts in 1966. “Wild About My Lovin'” follows as a simple blues track with a moderate rhythm and beat, with the philosophical “Other Side of This Life” featuring a good bass-driven rhythm by Boone. The album finishes strong with three Sebastian originals, starting with the romantic ballad, “Younger Girl”. “On the Road Again”, is one of the harder rocking songs – in the manor of traditional rock and roll, at least – not too much in way of substance, but a fun song nonetheless. The closing instrumental, “Night Owl Blues”, is the only one credited to all four band members. It is led by a proficient harmonica through the first section, where Sebastian shows off his talent on this instrument for the first time (he would later do some memorable harp for other artists like The Doors), later followed by a quality lead guitar section by Yanovsky, complemented by some ever intensive playing by the rhythm section. Do You Believe in Magic reached the Top 10 on the album charts and sparked an avalanche of further hit singles, albums and soundtrack themes over the next two years. Yanovsky departed from the band in mid-1967, followed by Sebastian’s decision to go solo in early 1968, which effectively ended The Lovin’ Spoonful. Part of Classic Rock Review’s celebration of the 50th anniversary of 1965 albums.